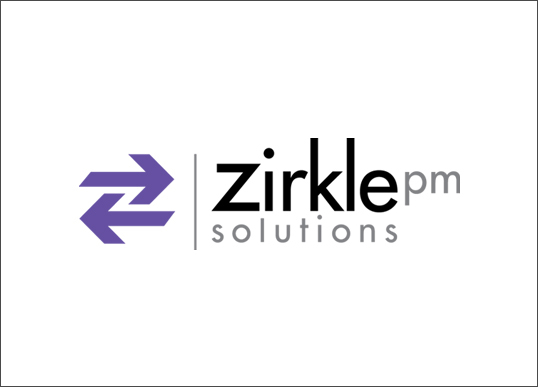 Project Details: We created this logo and stationery set for ZirklePM solutions, a company that specializes in large scale project management for companies that are on the move. 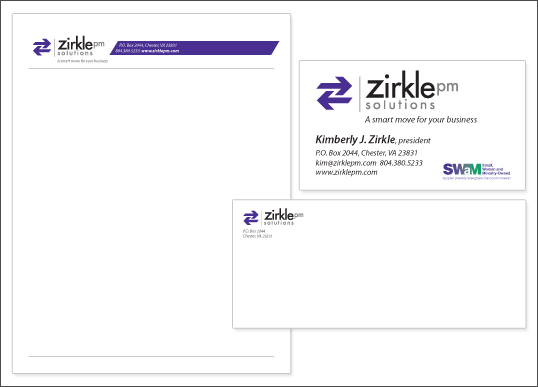 We wanted to create something that reflected the efficiency, cleanliness and precision that ZirklePM Solutions provides to its clients. Utilizing the arrows to symbolize the move management aspect of the business, we were also able to communicate the cleverness of the organization by incorporating a subtle letter Z within the design out of the negative space created from the combined arrow forms.